Not everyone, especially the younger generation, knew who Howard Keel was at the time of his death. But questions about him began rising after his cremated ashes were scattered at Tuscany, Italy; Mere Golf Club, in Cheshire, England; and John Lennon Airport, Liverpool, England, which are the three places he cherished the most in his lifetime. Unlike many people who were never public figures but gained immense popularity overnight after their death, Howard, at least, had a record: he was a member of the Grand Order of Water Rats, a recipient of a star on the Hollywood Walk of Fame, and notably the 12th President of the Screen Actors Guild. Let’s get to know more about the late Howard Keel. Biography – Who is Howard Keel? Howard Keel was a veteran actor and singer whose career spanned for almost six decades. He gained international fame as a result of his rich bass-baritone singing voice which took him to places in the world and also linked him to notable musicians and personalities. He was born Harry Clifford Keel in Gillespie, Illinois, in the U.S, on the 13th day of April 1919. His mom, Grace Margaret Keel (1887-1971) was a housewife and his dad, Homer Keel (1885-1930) was a coal miner who previously served in the Navy. The two are also parents to Howard’s elder brother called Frederick William Keel who was born in 1913 and passed away in 1982. The Keel brothers were raised in a poor home as their parents couldn’t cater for their needs like most kids of their time. Howard’s teacher, Miss Rosa Burke, who later became his fan when he became successful, was one woman who stood by him in his younger age. Burke’s cordial relationship with Keel started after she found out one day that Howard came to school without lunch. From that day forward, she began coming to school with two lunch packs – one for herself and the other for Keel. When Keel eventually became famous, Miss Burke never missed any of his performance near Gillespie as she was always given tickets to his performance. The singer/actor is a product of Fallbrook High School, in California. He enrolled at the school after moving to California with his mom following the death of his dad in 1930. Upon graduating at the age of 17, Howard started doing odd jobs to help his family. He was eventually hired as a travelling agent at Douglas Aircraft Company and later left the job to fully pursue his music career. Keel was discovered by his landlady (Mom Rider) who was the first person who encouraged him to enrol at a vocal training school after she overheard him singing. He debuted in 1941 when he sang a duet with American concert and operatic bass-baritone George London in Handel’s oratorio Saul. Riding on the wings on his musical success, Howard Keel successfully made his first film appearance in the year 1948 as the character Harold in The Small Voice. He has had some roles in widely acclaimed Broadway productions such as Floods of Fear (1959), No Strings (1962), to mention but a few. The actor eventually had his big break after portraying Frank Butler in his first musical film, Annie Get Your Gun in 1950. He was able to score the gig after he was contracted by the American media company Metro-Goldwyn-Mayer (MGM) film studio after his return from the West End of London. Keel continued to work for MGM until around 1955 when he was released from his contract after the company recorded some losses. Once again, Howard’s acting career became highly successful after he moved to California for fresh gigs. From The Love Boat, Keel permanently joined the television series Dallas in 1981 until its final episode in 1991. Inspired by his renewed fame, Keel released his first solo recording at the age of 64 and also had a successful concert in the United Kingdom. Three other albums which he titled: With Love (1984), And I Love You So, and Reminiscing – The Howard Keel Collection – would follow suit. 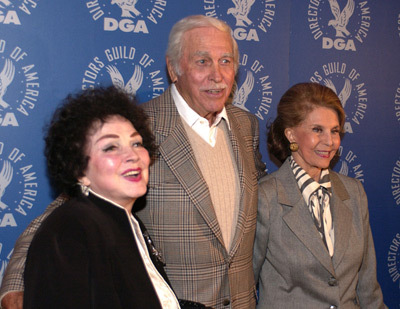 Besides his professional career, Howard Keel and his family were involved in charity events, including the yearly Howard Keel Golf Classic which usually holds at Mere Golf Club in Cheshire, England. A prominent member of the Grand Order of Water Rats, the veteran performer was honoured on February 8, 1960, with a star on the Hollywood Walk of Fame and six years later, a Golden Palm Star known as Walk of Stars on the Palm Springs, in California, was dedicated to him. Howard Keel, no doubt, had a successful career as an actor and musical performer. However, no record exists on how much he made from his career and how much he had at the time of his death. Howard Keel tied the knot thrice before joining the world beyond. His first attempt at matrimony was with Rosemary Cooper and their union survived from 1943 to 1948. The second marriage was to Helen Anderson in January 1949. The couple went their separate ways in 1969 and eventually divorced the following year. Their union produced a son named Gunnar Louis (born 1955) and two daughters – Kirstine Elizabeth (born 1952) and Katija Liane (born 1950). Keel entered his third marriage in the year 1970 with Judy Magamoll, an airline flight attendant and together, they had a daughter called Leslie Grace (born 1974). The actor/singer passed away on November 7, 2004, at his Palm Desert home at age 85 after a bout with colon cancer. See Also: Redmercy Age, Bio, Girlfriend, Real Name, Where is He From? Howard Keel was one of the industry’s musical performers with a comfortable height of 6 feet plus. In his lifetime, spotting Keel in a crowd was never a difficult task because he stood at a height of 6 feet 3 inches (1.9meters). However, details of his other body measurements weren’t available for public consumption before his death.